Grab Your Library Card, and Glass Slippers and Come On a Cultural Journey! It’s Elsa! It’s Moana! It’s Jasmine! What do they have in common? They’re Disney Princesses! Growing up in American culture means that not only are we familiar with the Disney Princesses, we are inundated with them. And it all really started with the famous Cinderella; a mistreated girl forced into servitude by her evil step-family, who eventually finds love (and an escape) with a charming handsome prince. Cinderella was released after 2 years of production on February 15, 1950, a full 13 years after Snow White and the Seven Dwarfs, and after having been “in the works” since 1933. It was one of the few great commercial hits of that time period for Disney and was also nominated for three Academy Awards: Best Sound Recording, Best Music Original Song for Bippidi-Bobbidi-Boo, and Best Music Scoring of a Musical Picture. Unfortunately, the movie lost in all three categories even though the music was innovative in their use of vocal multi-tracks. And while Snow White may hold the title of the First Princess, it wasn’t until Walt Disney saw the success of and money made from Cinderella that he became more interested in creating more Princess stories (Sleeping Beauty anyone? ), partly because if it hadn’t been for Cinderella, Disney might have lost his company due to bankruptcy. However, this innovative animated musical wasn’t as creative with it’s story since the princess was actually introduced centuries ago in foklore and oral stories, which is a trend continued today for most princesses. Cinderella was based on the fairy tale Cendrillon by Charles Perrault published in 1697, which was a retelling of the story Cenerentola by Giambattista Basile. Actually, Perrault’s version was unique because of the addition of new story elements, such as the fairy godmother, the pumpkin carriage, and the glass slippers. These elements, incorporated into the Disney movie, are now ubiquitous to most of the Cinderella modern retellings and the glass slippers are basically synonymous with her name. Who would have guessed French author Charles Perrault and Walt Disney would have created a vast and enduring love for Cinderella? Since 1950, an abundance of authors from around the world have been inspired over the generations to create their own retellings that share similarities to the original story, and culturally significant differences unique to their corners of the world. According to Mary Northrup, “most of the stories include an evil stepmother and stepsister(s), a dead mother, a dead or ineffective father, some sort of gathering such as a ball or festival, mutual attraction with a person of high status, a lost article, and a search that ends with success”. Williamson County Public Library offers your families the opportunity to explore many of these unique Cinderella stories from around the world right here within our Youth Services Collection. Let’s us explore a sampling of some of these retellings from around the world. Souci, San Robert. Sootface: An Ojibwa Cinderella Story. Illus. by Daniel San Souci. This tale features a girl who is overworked by her sisters and who wishes to meet the invisible warrior. Because of her goodness and inner vision she sees him and becomes his bride. Adapted by Jewell Reinhart Coburn. Illus. by Connie McLennan. Domitila: A Cinderella Tale from the Mexican Tradition. The emphasis in this story is on Domitila’s accomplishments as a cook and leather artist, skills enhanced by the love her mother taught her to include in every task she undertook. It is her dead mother’s spirit and the legacy of her training on which Domitila depends, not a fairy godmother. The rich young man who searches for her is at first enamored of Domitila’s cooking, but learns to appreciate and love her deeper qualities. Louie, Ai-Ling. Yeh-Shen: A Cinderella Story from China. Illus. by Ed Young. Here the hardworking and lovely girl befriends a fish, which is killed by her stepmother. Yeh-Shen saves the bones, which are magic, and they help her dress appropriately for a festival. When she loses her slipper after a fast exit, the king finds her and falls in love with her. This sad and beautiful story, with gentle illustrations, is retold from one of the oldest Cinderella stories. Climo, Shirley. The Egyptian Cinderella. Illus. by Ruth Heller. In this version of Cinderella set in Egypt in the sixth century B.C., Rhodopes, a slave girl, eventually comes to be chosen by the Pharaoh to be his queen. Climo, Shirley. The Korean Cinderella In this version of Cinderella set in ancient Korea, Pear Blossom, a stepchild, eventually comes to be chosen by the magistrate to be his wife. Climo, Shirley. The Irish Cinderlad this version retells an age-old Irish tale that is an unusual twist on the popular Cinderella story. Just like his female counterpart, Becan has a mean stepmother and stepsisters. Unlike Cinderella, Becan has large feet and a magical bull for a fairy godmother. He defeats a sword-swinging giant, slays a fire-breathing dragon, and rescues a princess. Steptoe, John. Mufaro’s Beautiful Daughters Nyasha must put up with a nagging, bad-tempered sister. But when both girls are tested, Nyasha’s kindness wins her the prince. Breathtaking illustrations crown this intriguing story with a twist at the end. You may think you know the Cinderella story in America but, I encourage you to take this opportunity to use your library card and visit the Williamson County Public Library. Your Library card is your passport guide to a unique and culturally diverse journey through the eyes of these special characters on their own personal quests for love, acceptance, and happiness, within their own countries! We all know the feeling. You just finished a book you really liked and now you want to read a book just like it or at least comparable. I know from experience that I am always so happy when there is another book in the series, and I can read something that feels the same. But what do you do when the book is not part of a series?? How do you find something new to read?? Nancy Pearl (Big Library Guru)’s says that we like read-a-likes because we want a book just like the one we finished reading. We want to recreate the pleasure and thrill of reading, the page-turning, the headlong rush to the end. Perhaps it was the setting or what we learned. Sometimes we can’t put a finger on it, but we know we want that feeling again. Pearl goes on to say that most fiction is made up of four parts: story, character, setting and language. She refers to these parts as doorways, and these doorways are larger or smaller, depending on the book and author. So, when the story is the biggest part, readers call these page-turners, because they can’t put the book down. When character is the biggest doorway, readers connect with the characters so much, they often feel like they’ve lost a good friend when they finish the book. When the setting is the largest doorway, readers comment on how they felt as if they were there. And most readers talk about how they savored the words when language is the largest doorway. Whatever it is, we want that experience again. But let’s say you want to read more books similar to what John Grisham writes. What’s the next step? Libraries have many tricks when it comes to finding read-a-likes for our patrons. We do have in-house bookmarks for broad categories, like mystery, romance and science fiction for additional suggestions of authors. We also have a database called Books & Authors, which gives you similar titles and authors based on what book you have just finished. Book Browse, a for profit book review site, has people who actually read the books and suggest what books are similar to what author’s works. Amazon may have an algorithm; Good Reads seems to rely on reviews and reviewers, but since they were acquired by Amazon, they might use the same algorithm. But when you search Google for Grisham read-a-likes there are many possibilities. Here are a few. In case you are new to reading Grisham, here is a brief bio. He was born in Arkansas in 1955, and like so many boys growing up, he wanted to be a baseball player. He majored in accounting at Mississippi State and then went on to law school at Ole Miss. After graduating in 1981, he practiced law until he was elected to the state House of Representatives. He developed an interest in writing, taking three years to write his first novel – A Time to Kill, which was published in 1988. The Firm was his next book, which stayed on the “NYT Bestseller List” for over 40 weeks. He sold the film rights, his career took off and he’s never looked back. He generally writes a book a year but since he has written over 60 books, perhaps he published more often than once a year. He also has a teen series featuring Theodore Boone, kid lawyer. In an informative article from New York Times, here is his list of do’s and don’ts for writing fiction. WCPLtn Celebrates National Winnie the Pooh Day! Do we ever need an excuse to recognize an author birthday or seize a chance to share with our reading friends all about one of our favorite, beloved book characters? So, gather up some balloons, grab your party hat, and blow out the candles on a birthday cake as we celebrate National Winnie the Pooh Day! This day is dedicated to the celebration of author A.A. Milne, who brought to life the endearing honey-loving bear in his beloved stories, which also featured his son Christopher Robin. It’s annually observed on January 18th and commemorates Milne’s 1882 birth. 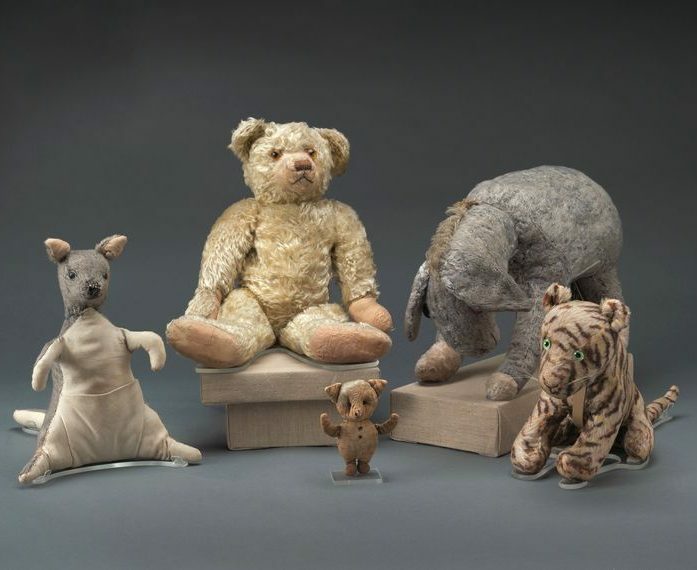 The friendship between a boy and his teddy bear (as well as his other stuffed animals) inspired a collection of books, illustrated by E.H. Shepard, starting with Winnie-the-Pooh in 1926. Here are a few example titles that come to my mind and can be found at WCPLtn, along with many other adventures both in print, and audio-book format. This is the perfect opportunity to celebrate by visiting us at WCPLtn or your own local library to gather up and check out a collection of Winnie the Pooh stories. Our librarian’s here at WCPLtn have been busy pulling together a special display of many of the classic books ready to check out in celebration of Winnie the Pooh Day ! So gather up the family and snuggle up in your favorite cozy reading spot to share for the first time (or re-read) these beloved classic adventures of Winnie the Pooh and all his friends Tigger, Eeyore, and Piglet, Kanga and baby Roo, Rabbit and Owl too from the One Hundred Acre Woods. If you cannot make it in to your local library and still want to share together a Winnie the Pooh adventure check out a e-book story or listen to a e-audio book from home by downloading our NEW streaming app service called Hoopla. You can set up an account remotely using your WCPLtn library card and an email address. We would love to be a part of your family reading celebration. Feel free to tag us with @wcpltn on social media and use #WinnieThePoohDay to spread the joy! Happy National Winnie the Pooh Day! The adolescent Jack London thrived on curiosity, which transcended the bounds of his blue-collar upbringing. Hours spent at libraries developed the young London’s mind, while instilling in him another desire: to travel. By the age of 17, he had gone on a sealing voyage in the Pacific. The trip was a professional catastrophe, but London and his shipmates returned home alive. The budding scribe jotted down his maritime story and used it to win a local writing contest. So began Jack London’s method of drawing themes from Mother Nature. As he matured, London’s exploration only increased. After spending some time on the East Coast, he returned to California and attended UC Berkeley. London did not graduate, instead heading to the Yukon at the time of the Klondike Gold Rush. This period in Canada supplied material for his novel, The Call of the Wild. After the success of Call of the Wild, London was in demand and had made a fair amount of money. His innate ruggedness led him to avoid urban life. Like Thoreau before him, London sought out a countryside retreat, finding one of his own in Sonoma County, California. Here he purchased a ranch and lived in a small cottage, while conceiving plans to build an estate, Wolf House, on the property. Though he no longer stood destitute, London still identified with the problems of working people. He didn’t hide his leftist views. London gave many lectures critical of capitalism. He also penned combative works that took on the upper class. London stayed always a fighter for the underdog. He never lost interest in travel, going as a newspaperman to cover the Russo-Japanese War of 1904. London married twice. He and his second wife, Charmian, once made a grand escape across the Pacific. Their destinations included Hawaii, Samoa, Fiji, and Australia. Unfortunately, London’s heavy drinking and extreme pursuits took their toll, forcing him to back off from seafaring. London returned to Sonoma County, where he resumed construction of Wolf House. In the year 1913, an accidental fire destroyed the still incomplete Wolf House. London was aging fast and construction of the estate never restarted. The end of that dream disappointed him, but London’s intrepid fervor remained. He continued to explore, in spite of his doctors’ advice. Nature kept providing London with a foundation for stories, though at a growing personal cost. On November 22, 1916, Jack London passed away of kidney disease at the age of 40. His ranch has since become part of the Jack London State Historic Park. London’s cottage, a quantity of his belongings, and the shell of Wolf House remain preserved there. By reviewing London’s life, one might better understand the task of all writers: to hit upon the balance of careful refinement and unfettered inspiration. Edgar Allan Poe, famous American author and the first American writer of mysteries, was a mystery himself. His death is still a mystery. Not that he died, of course, but exactly how and why. Poe had never been wealthy from his writings. From time to time he did well, but the money was gone sooner or later. One of the problems was the lack of copyright laws. Anyone could publish his works, poems and short stories, and that person would reap the benefits, not Poe. And this happened quite often. His “detective” stories were very popular—everyone wanted to make money from them. He was, after all, the father of the mystery genre. There would be no Sherlock Holmes without Poe. He had to drop out of the University of Virginia for lack of funds (his step-father didn’t give him enough money to complete the year). He was so poor that he had to burn his dorm furniture to stay warm!! He was engaged to marry Elmira Royster, but when he went to visit her after his first and last year of college, she had become engaged to someone else. He went back to Baltimore to throw himself upon the mercy of his relatives. 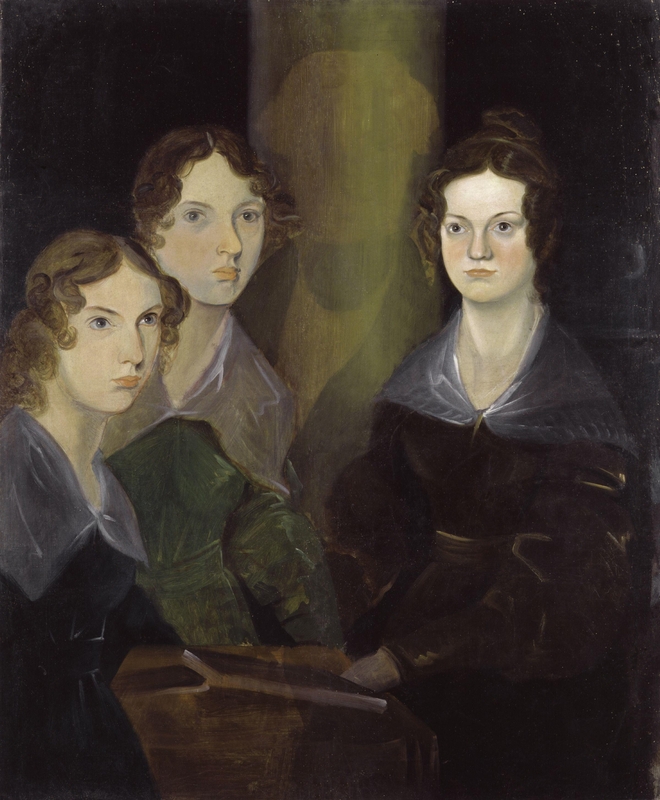 His aunt, Maria Clemm, took him in; she also had a daughter, Virginia, whom Poe developed a passion for. A job took him to Richmond, VA; there he became the editor of the Southern Literary Messenger. He became known for his criticisms of authors and their works. He was usually correct, but in this time where for a bribe critics wrote good criticism, he stood out as honest, but also made enemies. He made one in the Reverend Rufus Griswold. Poe was on his way to Philadelphia from Richmond to edit some poems for a Mrs. St. Leon Loud. Then he was to go to New York and bring his aunt down to be with him for his wedding. His fiancée told him he looked ill, and he did go see a doctor. Dr. Carter suggested he delay his trip a few days, but he went anyway. He never made it to either city. Somehow he ended up in Baltimore, delirious and ill, in dirty ragged clothing, obviously not his own, without any luggage. He was found outside of a polling place and bar – it was an election day, and this bar was a pop-up station. You went to vote (correction – the men got to vote) and then have a drink or two. The man who found Poe recognized him, and sent a letter to a friend of Poe’s, Joseph Snodgrass, who, luckily, had had some medical training. A letter was sent asking him to come at once. His own person doctor, Dr. Moran, also cared for him as he lay dying. He spent four days in and out of fever, never able to explain what happened to him. He did say one word, “Reynolds! !” but no one ever found out who he meant to call for. He was said to have said out loud, “Lord, help my poor soul,” and died. As to what cause his death? There are many theories, but no true cause of death was ever found. No autopsy was performed—he was buried two days after he died, and evidently there was a great frenzy to have a lock of his hair as he was taken to the cemetery. No one has ever found a death certificate—it could have been lost or stolen by Dr. Moran or anyone seeking to have a piece of the great man Poe. He was buried in an unmarked grave; a headstone was later added, but was destroyed in a wreck. He was reburied in 1875, with the remains of his wife, Virginia and Aunt Maria. I often say that having the great fortune to be employed in a library—yes, Darling Reader, paid to be here—is a wondrous thing, but it really cuts into one’s reading time. Library Mythbuster Numero Uno: we don’t get paid to sit around and read. What, you think the books get back on the shelves all on their own? And that all library patrons are as smart and savvy as you and don’t need my assistance and expertise? I’m so sorry to be the one to burst your bubble if you were operating under that premise, and were making career plans accordingly. We are, however, expected to possess an extensive breadth and depth of knowledge of the materials that are available to patrons, especially in the departments in which we spend our days (and evenings. And weekends. Library Mythbuster Numero Dos: this is not a 9-to-5 weekday gig.) Some of us amass this knowledge through advanced degrees in Library Science and/or work experience in libraries, and others of us learn about the abundance of wonderful children’s books from the hours we spent reading to our own offspring. (Some of us also have a deep-seated loathing for certain children’s books, usually through no fault of the author but because of the stultifying number of times we have read certain books that our kids loved but that we did NOT. That’s a topic for a future blog, but I have two words for you in the meantime: Johnny Tremain.) It saddens me a little that I missed out on the joy of reading Mo Willems’ books with my children, but I have immensely enjoyed perusing them since signing on to the Children’s Department at WCPL and recommending them to patrons. If you have children, or have ever spent any time with children, you surely know that they have these acute, finely-tuned internal sensors that enable them to see right through any awkward attempts by adult humans to try to be funny or whimsical or relatable when they just aren’t. One thing that differentiates Mo Willems’ books from the paper-and-cardboard sea of kiddie lit is that they are very, very funny. I mean . . . a picture book about a naked mole rat who just wants to express himself through creative sartorial choices? Come on, people, that’s freaking hilarious, I don’t care who you are. Willems’ formula works due to the culmination of several factors: excellent timing, precise word choices, and just-right repetitions of words and phrases. Ever since plays moved to the screen, back when they were black and white with text dialogue, movie makers have been trying to recreate that feeling of being in the middle of the action, of the immediacy of the people on stage. But no matter what they add (sound, color, 3D effects with glasses), I doubt they will ever be able to recreate the feeling of closeness and investment that you get from attending a play, which is why they’re still amazingly popular today. So in honor of the longevity and popularity of plays (in particular Shakespeare’s), let’s take a look at one of the most famous stages in history: the Globe Theater. The Globe Theatre was built in six months in 1599 by William Shakespeare’s company, run by Richard Burbage—Shakespeare had a small stake in the theatre. It was a three story, open-air amphitheater that could hold up to 3,000 people. There was standing room area at the front where the poor could watch the play for a penny. There were three tiers of seats; the fee increased by one penny as the tiers rose. Those who sat of the fourth tier were paying four pennies, and they were the richest audience members. They would have to stand up during the whole play. During bad weather, the plays were put on elsewhere, often at other theatres with roofs. Then a tragedy occurred on June 29, 1613; London’s Globe Theatre burned down. Of course, in the time of thatched roofs, wooden building and torches and other open flame lighting, buildings burned down all the time. The fire started during a performance of Henry VIII, probably when the cannon on stage misfired, (that’s what you call a realistic performance). The sparks caught the thatch on fire and spread rapidly to the wooden beams. It was lucky that the only reported injury was a man whose pants were on fire; he was able to put them out with a bottle of ale. In 1614, the Globe theatre was rebuilt by Burbage and Shakespeare, and this theatre was running until 1642, when it was shut down by the Puritans. All theaters were. The Puritans outlawed gambling, bawdy plays, prostitution and many more fun activities. That was one reason, perhaps the main one, which was Cromwell’s downfall. Charles II reinstated all of the vices, but The Globe was never rebuilt. In 1949, actor Sam Wanamaker went to see the sight of the original Globe Theatre. He was very disappointed that there was no memorial to Shakespeare. In 1970, he formed the Shakespeare Globe Trust, which constructed a replica of the Globe Theatre near the site of the first one. The theatre opened in 1997; the first play was Henry V. The theatre still stands today, thanks to much better fire retardant materials! They did top the roof with thatch though. It just wouldn’t be right otherwise. In the 1990, the new Globe Theater was built, some distance away from the site of the first one. While they were excavating, they found the pit area of the theatre lined with hazelnut shells, the detritus of years of the poor standing room only eating food and dropping the shells. This did cushion the feet of those standing to watch the plays. During Shakespeare’s day, theatre companies advertised what plays they were putting on with flags: white for comedy, red for history and black for tragedy. The city of London did not allow theatres to be built in the city proper. All theatres were built along the South Bank, where most of them still are today. The Globe was built to look like the Colosseum in Rome, but on a smaller scale. The Globe was closed several times because of outbreaks of the plague or the Black Death.